Carrey teams up with Jeff Daniels as two dumb as a bag of hammers best friends (Lloyd and Harry), who take a trip across the country to return a briefcase they believe is lost to it’s owner, a beauty woman who Lloyd’s become infatuated with. What they don’t realize is that the briefcase was a ransom drop and now the criminals are in pursuing them. 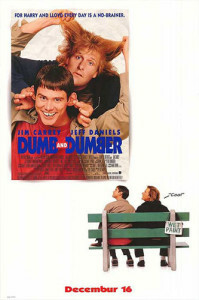 Dumb & Dumber is Jim Carrey’s third lead role and still his best comedy outing. Daniels is also excellent with so many memorable moments. This is the Farrelly Brothers best effort of far. 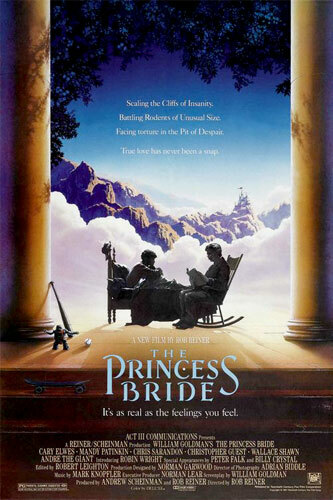 In this enchantingly cracked fairy tale, the beautiful Princess Buttercup and the dashing Westley must overcome staggering odds to find happiness amid six-fingered swordsmen, murderous princes, Sicilians and rodents of unusual size. But even death can’t stop these true lovebirds from triumphing. What makes this film work so well is it’s filled with witty humor, brilliant performances and well choreographed action sequences. The plot is the simple tale of stoner Dale Denton (Seth Rogen) and his dealer Saul Silver (James Franco) who are forced to go on the run after the Dale witnesses a cop commit a murder. 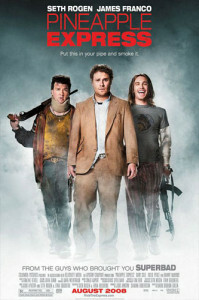 What makes this one of the best comedies of the 21st century is the tight script and Rogen’s and Franco’s buddy camaraderie. It’s one of those rare movies where repeated viewings are a must, as it seems to get better with each showing. 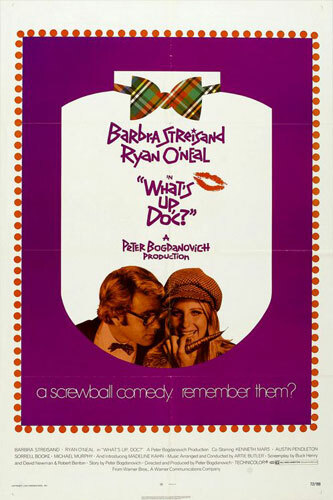 If you only know Barbara Streisand from Beaches or her later singing career, then you’ve missed out on her early work, where the foxy Miss Streisand was a comedy gem. The plot is silly, but it doesn’t matter, it’s the chemistry between Streisand and Ryan O’Neil that makes this movie still a great watch after 40 years. The story follows the accidental mix up of four identical plaid overnight bags leading to a series of increasingly wild and wacky situations. If you like 2003’s Old School. Then meet it’s father; The frat house comedy to end them all. There’s a very good reason why college kids still hang posters of John Belushi and that reason is Animal House, a film that’s largely responsible for defining and launching the gross-out genre of films. The story’s set in 1962 at Faber College, The Dean, Vernon Wormer, puts the Delta Tau Chi frat house on double-secret probation, and it’s up to Bluto, Flounder, Pinto and the rest of the brothers to get even and save their frat house. 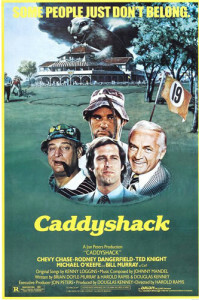 Caddyshack is rightly regarded as a classic comedy and one of the funniest sports movies of all time. The plot follows Danny Noonan, a caddy at the upmarket Bushwood Country Club, who’s trying to raise enough money to go to college. Where Caddyshack succeeds is its ability not to take itself to seriously, with everyone just having fun. Of the main characters, Chevy Chase’s Ty Webb is one of his finest roles, with Chase improvising a great many of his lines, Rodney Dangerfield plays a loud mouthed property developer, spouting some great one-liners. Bill Murray’s greenskeeper is also one of the gems, getting most of the quotable lines, even though his part is fairly small. 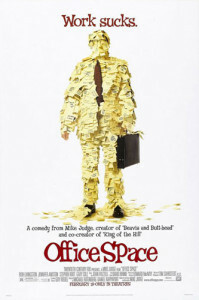 Office Space was overlooked upon it’s release in 1999 but has since gained a sizable cult following. The story’s set in a software programming company, where a number of employees are fed up with their jobs. Peter Gibbons, thanks to a hypnotic suggestion, decides not to go to work at the same time his company is laying people off. When layoffs affect his two best friends, they conspire to plant a virus that will embezzle money from the company into their account. 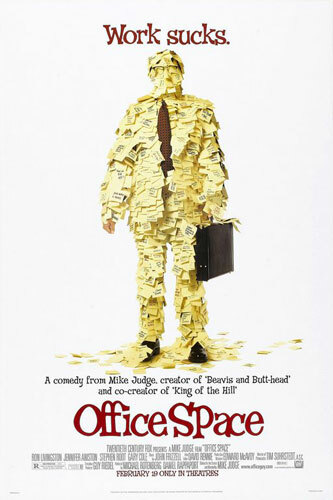 As with Ricky Gervais’s The Office, the film rings true with many of the actions placed upon the beleaguered workers by the company’s management as instantly recognisable, especially if you’ve ever worked in an office. 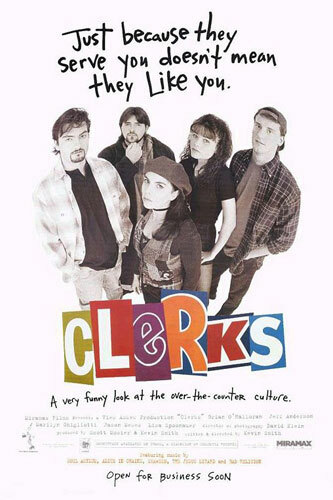 Based on Kevin Smith’s own experiences behind the counter, Clerks was produced on a tiny budget of $27k, with Smith funding the entire shoot through selling his comic book collection and maxing out 10 credit cards. Shot in black and white, with unknown actors, many of who were Smith’s friends or family, it’s a testament to many what can be achieved with so little. The script is tightly written, with much of the dialogue being ahead of its time. The plot of the movie is kept simple with it following a day in the lives of two convenience clerks named Dante and Randal as they annoy customers, discuss movies, and play hockey on the store roof. Clerks 2 also deserves a mention, as it’s a brilliant ride and nearly as good as this one. Stay tuned for Clerks 3. Dr. Strangelove is a Stanley Kubrick’s cranky satirical look at a group of ineffectual officials desperately trying to stop a renegade general from nuking the USSR. 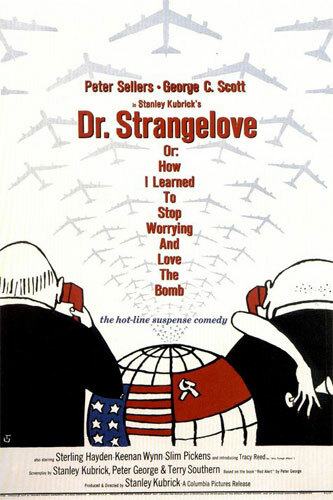 Peter Sellers is the key player here, bringing three virtuoso performances, the best being the Dr. Strangelove, a disabled bond-villain nutjob with a familiar looking switch/salute. Kubrick’s research for the military systems he used on set was so fastidious that when a group of Air Force personnel arrived for a tour of the set, they were visibly uneasy with the authenticity, so much so that the production team were convinced that they were under suspicion of spying. 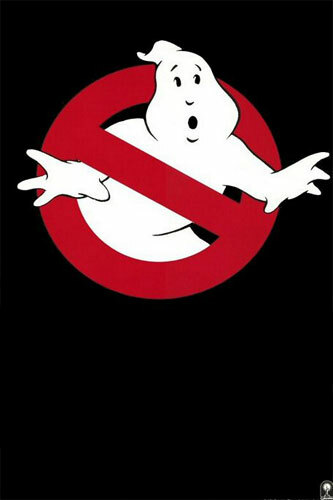 Although not a straight-up comedy, Ghostbusters is heavy on the laughs, with Bill Murray providing 99% of them with his dry, dead-pan delivery. 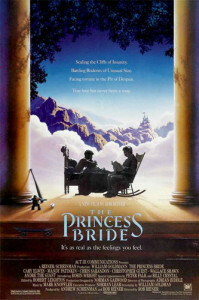 The script is peppered with witty moments throughout, and has become a bone-fide classic. The story (for the 3 people in the world who haven’t seen it) follows three scientists who lose their cushy jobs at a university and deicide to set up a ghost catching service. 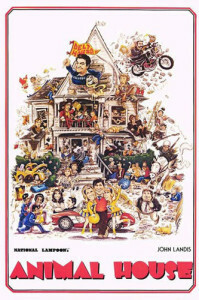 Although this became a Bill Murray vehicle, it was originally written for John Belushi, and during an early screening, the studio boss was heard to remark “Gee, we’re going to lose our shirts on this one”. That’s why they paid him the big bucks.